Thanks for dropping by Flawed yet Functional today! Fall is upon us and all the changes that go along with it. 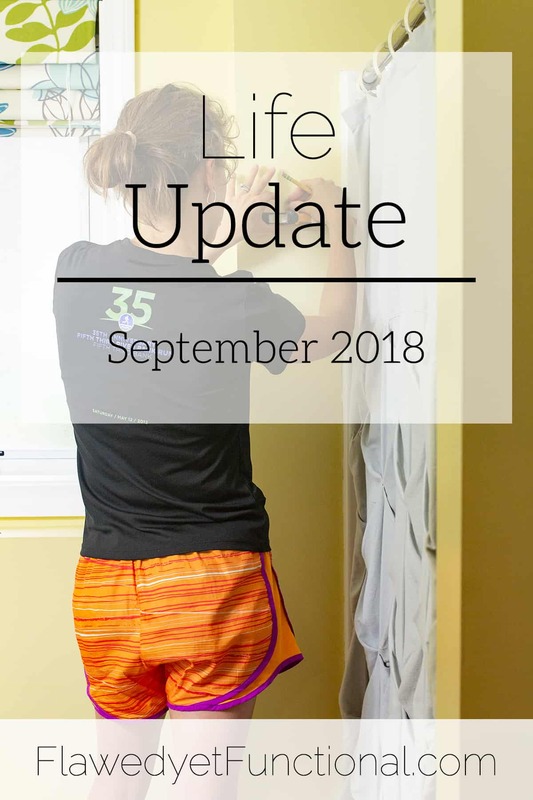 I thought I’d give you a life update today, catch you up on how my Type 1 Diabetes management is going along with my goals and projects. Summer has been rough from a diabetes perspective. I had two gluten exposures and at least 2 dairy exposures. For me, the effect of even trace amounts of gluten lasts 19 days. I had just gotten over a 19 day gluten exposure, and I was exposed to gluten again not 2 days later. Argh! That’s 38 days of elevated blood sugar from gluten alone! I should note what elevated means to me. My morning blood sugar is in the 160-180 range, lunch and dinner are almost normal 130-ish, and my bedtime number is right around 150. I have not checked my A1c yet, but it is likely right around 7. So even through this time, my diabetes is under control-ish; it’s not as good as normal for me. Now on to dairy. Due to my lack of carefulness, I’ve been able to track how long of an effect dairy has on me. Go, me! Let me explain, I purchased a coconut milk tea latte at a local coffee shop thinking it should be safe. They use separate milk containers to froth the milk, and I told them I had a milk allergy so they cleaned the steamer stick well. It wasn’t enough. If you’d have asked me prior to this summer, I would have said I was less sensitive to dairy than to gluten, but now I know that not to be true. I am highly sensitive to both. The good thing is, a dairy exposure only affects my blood sugar for 1 week. Yay! I was able to pinpoint my last dairy exposure to August 16, 2018. My fasting blood sugar was 184 the next morning, and my morning blood sugar returned to normal on August 24, 2018 with a fasting blood sugar of 135. I have been in range since then. Yay for 2 weeks of back to normal! Those gluten and dairy exposures lead right into where I’m at with reintroductions in my diet. I’m taking a break from reintroductions for a while. I think everything I’ve reintroduced has been truly fine. However, I want to give my body a rest for a while after being so messed up for the last few months. 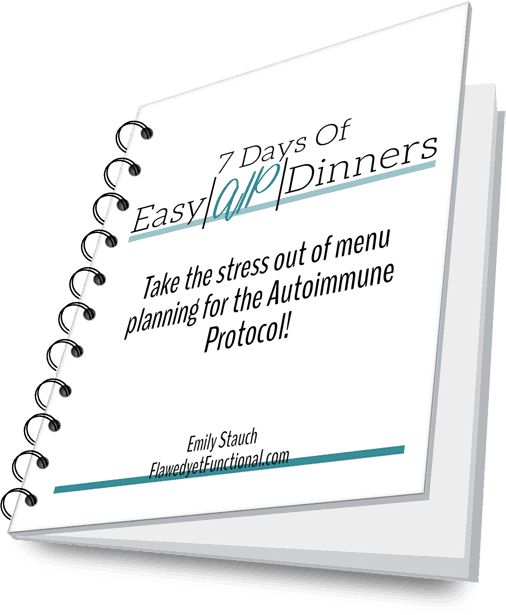 I have a endocrinologist appointment at the end of September, and I’m keeping my diet the same until that appointment then I will try some reintroductions. Likely the next reintroduction will be cashews or sweet peppers, I’m so excited to try a nightshade! If I could start eating peppers and tomatoes again, a whole world of recipes open up! I’ll be sure to update with how that goes. For now, if you’re curious what reintroductions I’ve done and how I measure success as a Type 1 Diabetic, check out the posts below. I’ve sort of fallen off the bandwagon on this goal of mine. Life has been so busy lately that I haven’t gotten much reading in. I was totally thinking I haven’t read much at all, but I just looked over my Goodreads app and I’ve read 6 books since February when I last updated my reading list to you. 6! Woot! I’m ok with that! Ten complete books read for the year, and it’s only September. I’ve picked up a bunch of odds and ends from my grandma’s estate that are going to be some fun projects. My dining room is looking so much more put together since I hung a picture and displayed some cute trinkets. I’m in the middle of a fun boy room update that I hope to share soon which will also feature great finds from my grandma’s attic! My garage is a hot mess though. So. Many. Projects. I need to have a very productive September and October so that we can park in the garage again before snowfall! Cannonball bed refresh – You guys. I got a California king cannonball bed. There’s only one small problem…we have a brand new king size mattress. California king is not the same size as a king. A California king is longer but narrower. Narrower is the issue. So, I (ahem, we) will be making small modifications to it so hopefully our king mattress will fit in it. Cross your fingers, say your prayers, I REALLY want this to work. Side chair repair and update – I picked up four caned back side chairs that need repair and new seat cushions. I’m hoping to put a couple in my living room and a couple in the entryway. These will be a project though. It took me six weeks to do one chair! Picture frames – So so so many picture frames. No idea what I’m doing with them yet! That about catches you up on the happening around here. I’ve spent most of the last few months soaking up summer with my family. We’ve been to the beach, friend’s pools, the playground, and riding bikes. It’s been a great summer. As the weather turns, I’m looking forward to the return of the usual fall activities: homeschool, Bible study, and t-ball. I’m ready to jump back into the land of DIY, cooking, and writing! Hope your fall is shaping up nicely too! How are you doing on projects lately? Do you tend to accumulate a bunch in your garage too? What does fall bring for you and your family?